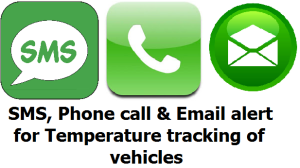 For vehicles which carry critically temperature sensitive items such as Medicine, Drugs, Vaccines, Food etc., it may be required that the temperature data need to be continuously monitored in real time. These devices are used for monitoring refrigerated vans, reefers etc. The system is a combination of GPS and GPRS communication modes. 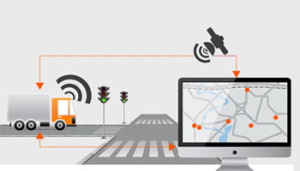 GPS (Global Positioning System) is used to track the vehicle position throughout its journey. This is achieved through GPS satellites. For transferring continuous data such as temperature,humidity etc., General Packet Radio Service (GPRS) through GSM network is used. This is data packet transmission similar to browsing internet on the mobile phones through GSM network. The data sampling and transmission interval can be programmed in the device. eg. an interval of 3 minutes means that the data will be transmitted every 3 minutes.